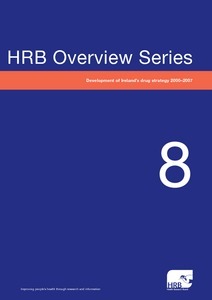 Home > Development of Ireland’s drug strategy 2000–2007. HRB Overview Series 8. Health Research Board. Alcohol and Drug Research Unit. Pike, Brigid (2008) Development of Ireland’s drug strategy 2000–2007. HRB Overview Series 8. Dublin: Health Research Board.